The Trump administration said Friday it will look at revving up water deliveries to farmers from California's Central Valley Project, the largest federal water project in the United States, in what environmental groups called a threat to protections for struggling native salmon and other endangered species. 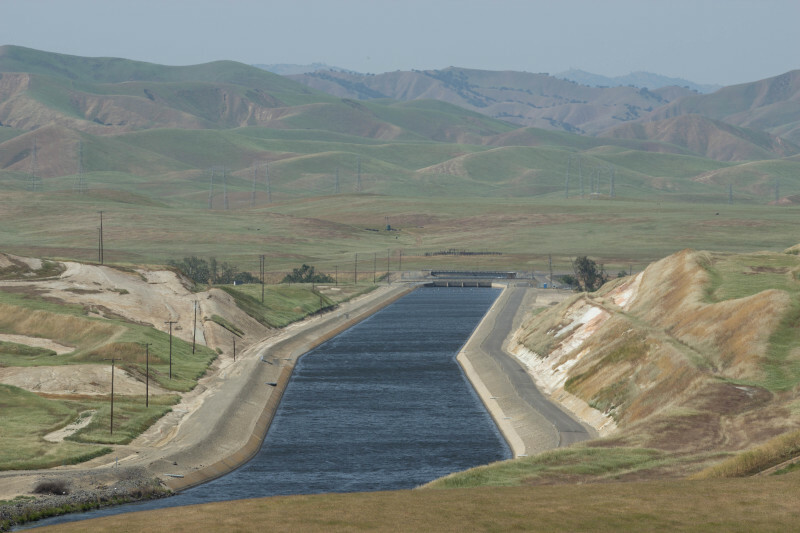 The water project is a network of 18 dams and reservoirs and 500 miles of canals and aqueducts that draw water from the delta of the Sacramento and San Joaquin rivers, which are part of the largest estuary on the West Coast of the Americas. Launched in the 1930s, the water project has helped make California's Central Valley the United States' richest farm region. It also has contributed to driving several once-plentiful species of smelt, salmon and other native animals toward extinction, biologists and environmental groups say. Doug Obegi, a senior attorney for the Natural Resources Defense Council environmental group, contended in an email Friday the move represented "the latest attempt by the Trump administration to roll back protections for salmon and other endangered native fisheries ... in order to increase water supplies" for the state's agricultural water agencies. Cutbacks of water deliveries for the project's customers during the recently ended five-year California drought -- including cutbacks prompted by rules protecting endangered native species also struggling in the drought -- helped prompt the decision to look at possibly redoing the rules for operating the water project, Curtis said.